Blurb : One family of five… One life-altering tragedy… Three survivors. Each of the Mason siblings takes the outcome of the devastation three completely different ways. Stephen Mason has lived with not only one, but two life-shattering secrets since the day a car accident claimed the lives of his parents, left his brother impaired, and led his sister down a destructive path.His number one rule since the accident: never let anyone get close… He only destroys the lives of anyone who gets close to him. He’s distanced himself from his siblings and the possibility of love. He’s accepted the cruel punishment of being alone with his secrets until the day he dies. Good things are only meant for special people. When they happen to unspecial people, there are always consequences.Two wrongs don’t make a right, but can two broken people make one whole?When you’ve given up hope and have retreated inside yourself… Can one truly speak…Love? Review : Wow… the Different Road series books were the first books I ever read by Annalisa Nicole and I must say “What an emotional rollercoaster”. They might appear as standalones and it IS possible to read them as such but because of deeply woven ties I extremely recommend to read them in the right order. Otherwise you will miss out on specifics that color the relationship of all those amazing characters. When I read the first book I was convinced that River had forever my heart when it come to the 2 brothers. Now I am not so sure anymore. Book by book the author uncovers hidden layers of the relationship of these 3 siblings. Stephen dug his way into my heart with his dedication to Maddy. His understanding and his actions were just WOW.. He left me speechless at times. The weight of secrets that he was keeping was so heavy it wouldn’t have been a surprise if it had broken any man. Yet he punished himself day by day by simply existing instead of living. Maddy also had heavy weights on her shoulders to carry – yet she did not let it ruin her – bend but not broken – def. never that. She follows her ideas no matter how long it will take her to get there – an admirable trait. There were definitely tears in my eyes when I read Stephens declaration about all the reasons he is bad for Maddy – which actually wasn’t quite what it now sounds like … it was more the opposite of what it sounds like. Blurb : Taken by the Jakhua Clan as a teen, 194 was stripped of his name, his identity, and his freewill, meticulously honed to be a ruthless, soulless killing machine, trained solely to spill blood and stop hearts. This is a role he resents with every fiber of his being, but one he embraces to gain back the precious leverage the Georgians wield as their weapon of control: his younger sister, 152.Mzia Kostava is in shock. After fleeing her mafia family’s massacre in Georgia as a child, Mzia lives in secret, hiding from her enemies in the dark shadows of Manhattan. At age twenty-five, believing all her family is dead, word reaches Mzia that her brother Zaal is very much alive… and living with their family’s greatest enemy: the Volkov Bratva in Brooklyn.Yearning to be reunited with her beloved Zaal, Mzia risks her safety and anonymity for the brother she had mourned since childhood. But just as she reaches Zaal’s apartment, Mzia is seized and taken captive by a strange man, who is strong, dark, and brutal… Unyielding, he demands her utter obedience as he locks her away in darkness. He is highly skilled in torture and inflicting pain, and demands to know everything about her brother Zaal and everything about her. He is a man that’ll do anything to get what he wants.Sometimes love requires the sacrifice and betrayal of those held most dear. But is finding one’s true love worth committing the greatest sacrifice of all? Review : Ravage (Scarred Souls #3) by Tillie Cole is now the third Book in that series that I read. Usually I am not into those dark reads and especially not anything mob/mafia related. But these books are different. If I remember correctly originally it was the fact that the leads were numbered that got to me. It reminded me of one of my favorite series, which also has to deal with prisoners that were given numbers instead of names – ripping away their humanity. But those numbers are really as far as this comparison goes. Unusual for Tillie Coles dark romance series in comparison to others is that the leads still have a compassion that the reader can feel. You get to know the before – the person that the leading character was before the Darkness descended – and the after – the killer you meet during the development of the story. But additionally you can almost feel the compassion the second leading character is using to try to save the lead out of this spiral of violence. If you are looking for flowers and happy bunnies – you should stay far away from these books. Because they are dark, deadly and dirty. – Ruthless, soulless killing machines do not make a nice beach read – but still there is so much compassion and love that it almost takes your breath away. I am not sure how this author manages to create an environment where you as an innocent reader feel the need to step in front of a murderer shielding him from all the darkness. I am not joking – I honestly had moments where it was difficult to breath and my emotions were all over the place. Blurb : Jagger Reed has a secret that could destroy lives…And one life that could be destroyed is his disabled brother’s. Jagger is in jail for a crime he didn’t commit, and believes it’s a small price to pay to protect his family. Rosalind McAllister is the newest creative writing teacher at Arizona State Prison…Rose is determined to prove herself to her criminal students and not let them break her—like they did the last teacher. But when she meets Jagger Reed, she immediately knows the line between student and teacher could be easily blurred. Tall, intimidating, and way too handsome to be incarcerated, she vows to keep him at a distance. A creative writing assignment turns into the discovery of Jagger’s innocence…When Rose reads Jagger’s creative writing piece, she’s both astounded and impressed. His written words call to her, providing a window into his private world. But as the assignment continues, she discovers facts about Jagger’s conviction that change everything. Determined to piece together clues that leap out from the pages, she finds much more than an articulate prisoner.How can she save a man who doesn’t want to be saved? And can she stop her heart from getting involved while…Defending Jagger? Crime families and mob wars only exist in the movies. Betrayal. Violence. Murder. They don’t happen to ordinary people. For Lincoln Hollis, this is his world, and there isn’t a clapperboard in sight. 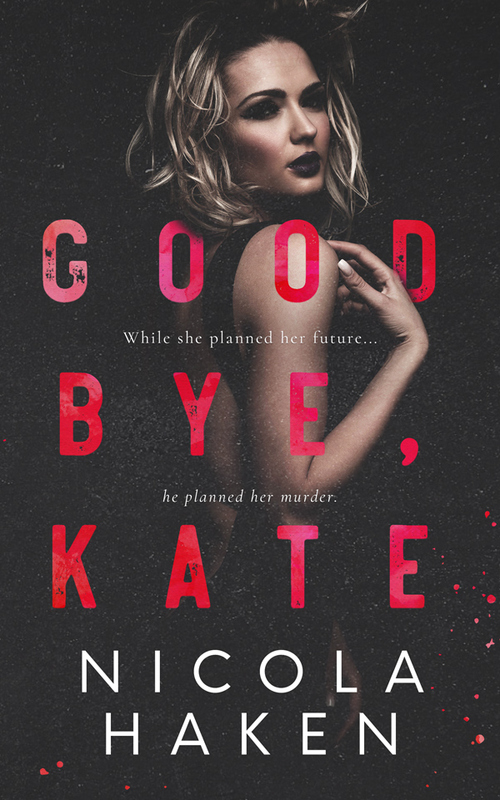 A trained killer and advocate of justice, he’s been sent to unravel the neat little bow tied around Kate Fletcher’s perfect life, exposing her to the brutal truths she’s been so meticulously shielded from, before delivering the ultimate punishment for her family’s sins. There’s just one problem. They’re his family’s sins, too, and he must make a choice. Who will he say goodbye to first? For as long as she can remember, Mindy has always been able to see the future. As a child, Mindy always wished she could be normal. Now that she is, she’d give anything to be special again. After she wasn’t able to help one person she cherished using her gifts, Mindy isn’t sure she can ever trust her ability again. Elijah rose to the top of the bestseller lists with his first novel — but he can’t seem to find the same magic again. Over his publisher’s objections, he wants to take his writing career in a whole new direction. A frantic call from home threatens to completely derail his dreams. He never expected to go home and find one of the few people from his past who took the time to listen to him despite his Tourette’s syndrome. Mindy knows Elijah and his family are in danger, but she knows her answers may not be enough his family or their love. Can Elijah convince Mindy that love is reason enough to tempt fate? You’ll love this sweet romance about first love with a touch of mystery. Finally released from prison after serving only eighteen months of a twenty-year sentence, Jagger is excited to reunite with his disabled brother Dallas. With the help of Rosalind McAllister, the creative writing teacher at the prison, Jagger was given a full pardon and legal guardianship of his brother. When Jagger and Rose arrive to pick up Dallas from his temporary foster parent, Lena Radcliffe, they are horrified to discover she has moved out with no known address. Worried that his brother may be in danger, they enlist the help of the local police who discover Lena in Great Falls, Montana. Rose vows to help Jagger reunite with his brother. Live or die, Jagger will find his brother so they can start fresh. But there’s more to Lena Radcliffe than meets the eye, and suddenly Jagger and Rose are in over their heads. They’re in the middle of something much bigger and more dangerous than a family dispute. The scars of the past have left their mark, both physical and emotional, on former military pilot Seth Erickson. Off-grid in the far reaches of the bitter Alaskan wilderness, he wants only to be left alone with his ghosts. But he can’t ignore a woman in need—beautiful, stranded and nearly frozen with fear. Summer Silva never imagined that the search for her missing sister would leave her abandoned on a wintry back road, barely escaping with her life from a cold-blooded killer for hire. Now, hiding out in the isolated cabin of the secretive wounded warrior who saved her, Summer knows she must do what she fears most. Putting her trust in a stranger is all she has left. After a fiery first night together, Seth and Summer are bound by a need as powerful as a Bering Sea superstorm—and vulnerable to enemies just as fierce. For Seth, reawakened by desire, there is no sacrifice too great, no memory too dark, to keep Summer safe. But murder and treason lurk everywhere and Summer may not survive Alaska’s ruthless winter. Review : Even though “The Stranger” is the second book in the “wounded warrior” series by Anna del Mar it still feels a lot different than “The Asset” which was the first book in that series. While in “The Asset” the focus was totally on the developing relationship between the leading characters, I felt that in “The Stranger” the focus was on the plot. This book feels more like a suspense novel at times than as a romance. Which is not a bad thing – so please do not misunderstand this, but after reading the first book I expected something different here. I also had a problem with the relationship between the characters, there was definitively “something” between them, but I could not feel the “sparks”. I think it was because (as I said) the focus felt different and the reader was much more into discovering the reasons for things that happened than paying attention to the leads. From the focus of suspense, this book offers the reader much more than one would expect by its blurb. Also I suppose that if you neglect the comparison between “the Asset” and “the Stranger”, the Banter going on between Seth and Summer will keep the readers entertained for sure. I liked the setting of the book very much and you notice that the author put a lot of thought into the writing of the surrounding and the backstory. She wrote everything with a lot of details that help the reader to “live” inside the plot – which is an admirable trait in a book. … just go ahead and enjoy this book. A Prince, a Journalist, and eighteen hours to save the royal wedding…. As the youngest member of the Aegirian royal family, Prince Johannes Magnusson takes his responsibility to his family seriously. So when his mother’s wedding seems doomed at the last minute, he will stop at nothing to set things right. But when a prominent member of the royal family goes missing under suspicious circumstances, the search for answers uncovers more than anyone bargained for. Journalist Tracy Minhall has embraced the island kingdom of Aegiria as her new home, mostly because of her intimate connection to Prince Johan. So when he needs her help to solve a royal mystery, she jumps at the chance to face danger. But not everyone is happy with her risk-taking ways, and the truths she uncovers could tear the royal family apart forever. Will the royal wedding happen at last, or will the truth spell the end for the Aegirian monarchy? PLEASE BE ADVISED: Steam Level – Hot…including one “open door” scene.